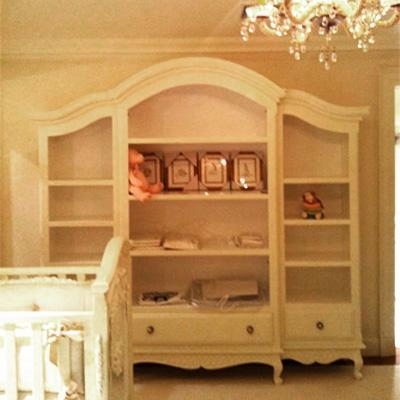 Art For Kids Elena three piece bookcase is a stunning piece that will make a statement in any room. 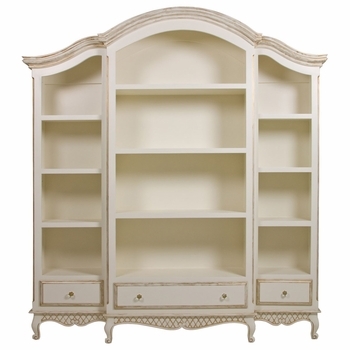 Crafted from 100% alder and birch wood, the bookcase is available in many finishes. (See Options) Perfect for books, nic nacs and photos. Dimensions - Width: 92" , Depth: 20" , Height: 84"
The bookcase is custom made to order and ships directly from the manufacturer. Wood chip samples available upon request. Complimentary Ground Shipping on all Art For Kids Furniture orders. Upgraded shipping options for premiere white glove delivery available for an added fee. Please call for details.